Johannesburg, May 30, 2018 – AfricaXP(AXP), Africa’s leading provider of premium themed content announced today that VivaBox DMS, a leading turn-key Mobile IPTV/OTT provider for Telco’s has signed a multi-year contract to provide premium content for MTN-TV (Ghana). Under this agreement, 10 premium AXP channels will be provided to VivaBox for the MTNTV platform. MTN Ghana’s 14 million subscribers will have access these channels specially themed to meet the needs of the African market. Executive Director at VivaBox Ghana, H.E Princess A. Ocansey, noted: “The Premium-one blends AXP content and top local channels into an affordable, yet appealing bouquet to the Ghanaian viewer”. AfricaXP maintained it’s commitment to support innovation on the continent according to CEO, Craig Kelly, who noted “we are passionate about supporting new and innovative offerings on the continent, and our channels will be a compelling addition to the VivaBox powered MTN-TV platform. The subscriber base, technology and content make a win win scenario for all and we look forward to a fruitful relationship in the coming years”. VivaBox CEO, Julius Nyingmeh, said: “AfricaXP is a valued partner. This deal further strengthens our pan-African expansion strategy to provide turn-key solutions to telco’s. It’s about combining exciting African content with carrier grade technology, partnering with MTN Ghana to make this affordable to the end-user without compromising the viewer experience. AXP channels will be offered in the MTNTV Premium-one bouquet from July 2018, alongside International news and local Ghanaian channels. 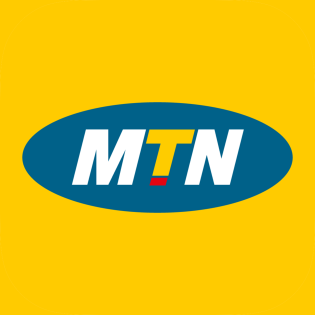 MTN subscribers with access to a smart device will be able to access the MTN-TV app on Android, IOS and Web while the Viva 4G and Viva-Connect Tv Boxes will be available for homes and MTN Fiber to the home subscribers.